A 5k run at Belton House, you against the clock. Parkrun may not be on if Belton House has an event on, so check the link to confirm. Please update your Parkrun profile to show you as a GAC member! You can help raise vital funds for GAC by buying tickets for the SKLottery - a lottery for community organisations based in South Kesteven - or by signing up for easyfundraising, which raises small donations when you shop with over 2,700 online retailers. For more, see the panels below. Help raise funds for Grantham AC whenever you shop online! Use easyfundraising to shop with over 3,300 big name retailers including Amazon, Argos, John Lewis and ASOS – when you shop, you’ll raise a free donation for Grantham AC every time, it’s that easy! 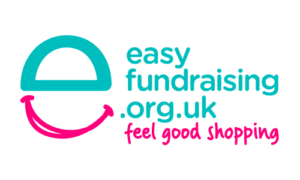 Once you've signed up with easyfundraising, you just need to visit your favourite retailers via their website or a browser toolbar, and the donations are made automatically. Grantham Athletic Club has joined LotterySk to try to raise some much-needed funds. 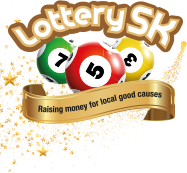 LotterySK was created in 2018 by South Kesteven District Council to support community projects in the local area using the principle of raising money within the community for the community via a weekly lottery. Each ticket costs one pound, and there are prizes of 3 free tickets, £25, £250, £2,000 and £25,000 available depending on how many numbers you match, and with a 1 in 50 chance of winning (more than the National Lottery or the Health Lottery). 50p from each ticket sold through our exclusive link goes to GAC, and another 10p goes to other local causes. You can sign up for a £1 per ticket, which can be paid via credit card or Direct Debit either as a one-off or as a recurring payment at £4.34 a month. The good news is GAC will receive half of this money and a further 10p will go towards other good causes , and who knows, you may win £25,000! For more information about the scheme, see the Lottery SK website. 11 current first claim, 1 second claim and 1 past member of Grantham AC ran in Bourne woods on Sunday 10th April. With the sun shining through the trees and some wet slippery trails underfoot the 3K race got underway. Aaron Hunt took the early lead with William Tucker tracking him, closely followed by George Hatton before the 2K point the lead had changed over and William went on to win in a course record time of 10 Minutes 48 seconds, Aaron finished second in 11:06 with George 4th in 11:29. Second claim member Elin James (1st claim Bourne TH) won the girls race (7th overall) in a course record time of 12:14 with Issy Hobday finishing 2nd girl just behind her dad Stephen in 9th. The Grantham AC team for this race was completed by Ella rose Hobday 5th Girl and 17th overall. In the 10K race a family battle ensued between Mark and Sophia Tucker, with Mark moving ahead at the 8K point to finish 43rd in 47:47 and Sophia 4th Woman (49th) in 48:39. The next GAC runner was Chris Hunt 71st 51:14 closely followed by former member Polly Atherton in 77th (7th Women) in 51:47. Completing their first ever 10K run were Saskia Hunt and Kim Newell in a very respectable 54:56 19th and 20th women 103rd, 104th overall. Five Grantham AC competed in windy conditions at Loughborough on Sunday. In the 100m the Hunt sisters Amy and Holly ran 12.47 and 16.12 seconds respectively. Gabrielle Lucas ran in the 75M Hurdles finishing in 14.23 seconds. Later in the day Helen Braybrook competed in the 3rd heat of the 1500m and Aaron Hunt fresh from competing in Bourne in the morning ran in the 5th heat finishing in a personal best time of 4:29.04. When it comes to marathons, Grantham AC has a remarkable history and the latest addition to its collection of pedigree runners is Ben Allen. He competed in the Manchester marathon at the weekend and broke the elusive 3 hour barrier with ease in a time of 2:56:46 finishing 241st from the 9000 plus field. Seasoned marathon runner Tony Madge who has a marathon PB of 2:33 opted for the Hose 1/2 marathon finishing in 1:33:15 in 86th position from the 500 strong field. Seven club Parkrunners competed at 4 events over the weekend. Rutland Water – 40 John Ellerby 26:16.